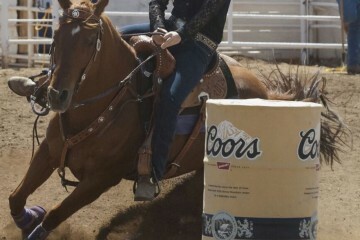 A passion for horses runs so deep through my veins, and I’m sure it does for most of the people reading this article. World Champion trainer Dana Hokana shares her passion for horses and how she got where she is today. A lot of people think that winning or being a great rider is ALL hard work and they forget that it’s also the way you think about things. Whether you’re negative or positive – and the way we view our horses. Dana wasn’t born into a horse family, but she knew exactly where she wanted to be from a young age and she made it happen through hard work and a positive mindset. Hope you enjoy her video below. She wasn’t born into privilege or even into a “horse” family. Her story is so powerful and it shows that we all have the power to turn our dreams into reality! Share this on Facebook if you have a passion for horses! 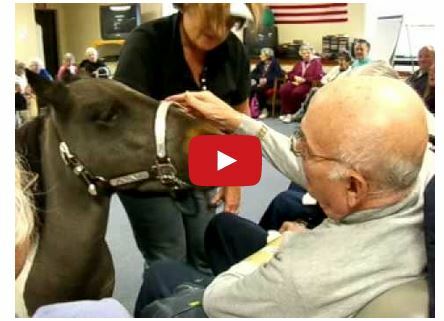 Watch Miniature Horse Bring Big Therapy To The Elderly And Disabled!